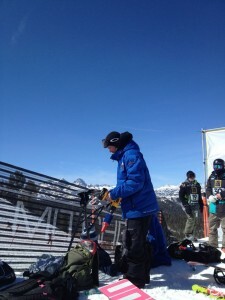 The Grand Prix at Mammoth Mountain was an interesting competition. 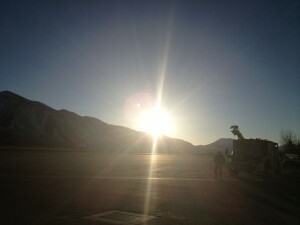 We arrived in the afternoon and had official practice the following day. We all checked in at registration received our credentials and headed up to the pipe for practice only to find a groomer was still in the halfpipe. Practice was delayed an hour, but soon enough the pipe was good to go and it was game on from then. The next morning is when things got a bit crazy. The weather had come in pretty bad with blizzard conditions, everyone was hanging out in the athlete lounge hoping things would calm down and we could all ride. but this wasn’t the case, practice was cancel for the day. 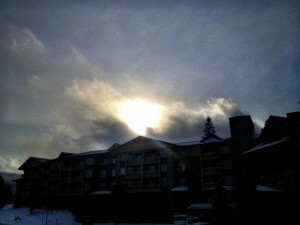 The next day was the slopestyle comp. 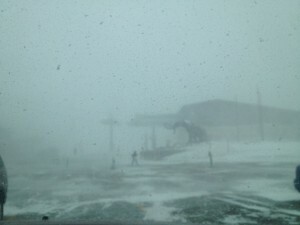 The weather had come in harder over night and they were forced to postpone slope for the day. With a high wind that day clocked at 138mph (222km/h). 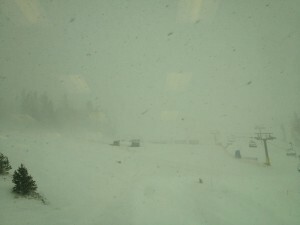 The following day was the same, high wind lots of snow and a postponed halfpipe competition. by this time we were all super bored from sitting in our hotel rooms for 4 days straight. This was a huge 4 day blizzard! But surprisingly we woke up the next morning to perfect blue skis and almost no wind, it was an amazing day and the slopestyle comp was good to go! Pipe was scheduled for the following day and we were granted another picture perfect blue bird day! Girls were competing first. unfortunately during practice i took a heavy fall clipping the deck on a front 5. My body was pretty shaken up from the fall and I was unable to land either of my competition runs. I was disappointed to not have been able to land a run but it was a relief that my body was ok after my fall and that I was still able to compete. 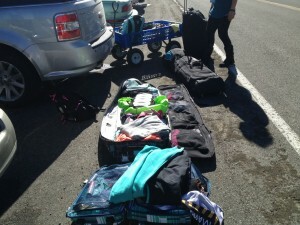 After quickly changing in the middle of the road and repacking our bags it was back to the airport to start our long journey to the other side of the country for the Burton US Open in Vermont! 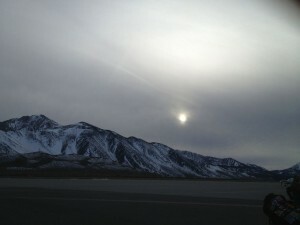 This entry was posted in California, COMPETITIONS. Bookmark the permalink.